Thin Film Electronics has announced British American Tobacco Global Travel Retail (BAT GTR) as a new customer. BAT GTR is launching a connected edition of its Dunhill brand products using the company’s NFC (near field communication) SpeedTap™ tags. The 'on-carton' tags, which integrate with Thinfilm's CNECT™ cloud-based platform, convert each physical Dunhill product into a digital channel that facilitates direct brand-to-consumer connections. 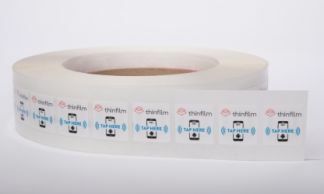 BAT GTR will use Thinfilm's NFC solutions to engage with adult consumers, delivering unique content and digital experiences through the tap of a smartphone, it says. The initial Dunhill campaign will launch in February at the world's largest travel retail hub at Dubai International Airport, with follow-on campaigns expected at other major airports thereafter. In a further announcement Thinfilm confirmed Iovate Health Sciences International as another new customer, the NFC specialist’s first in the active nutrition products market. Iovate will integrate the technology in its nationally recognized Six Star Pro Nutrition®, Hydroxycut™, MuscleTech®, and Purely Inspired® brands to engage with consumers, deliver custom mobile content, and drive ecommerce. The ‘smart’ products will initially be available in Walmart stores and other major retailers throughout the United States. Thinfilm has offered Iovate exclusivity in the active nutrition supplement category following Iovate’s 7-figure unit order for NFC SpeedTap™ tags. When tapped with a smartphone either in-store or at home, Iovate customers can instantly launch unique digital experiences, including videos, recipes, how-to instructions, and instant product reordering. Content will also include a custom video from Six Star Pro Nutrition®-sponsored athlete and All-Pro tight end, Rob Gronkowski.